Booking Products play a key role in describing the services being offered by you. The products should be properly described in detail regarding availability, booking days, location etc. 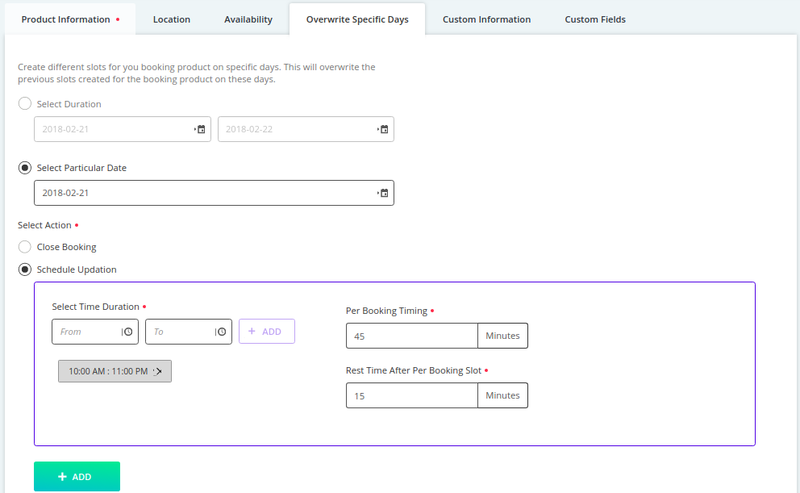 On bookingcommerce, you can create unlimited paid and free booking products so to give the customer the option to book a specific product at any given time slot. 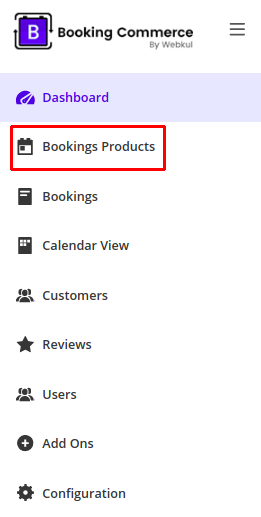 On your bookingcommerce dashboard, click on Booking Products. 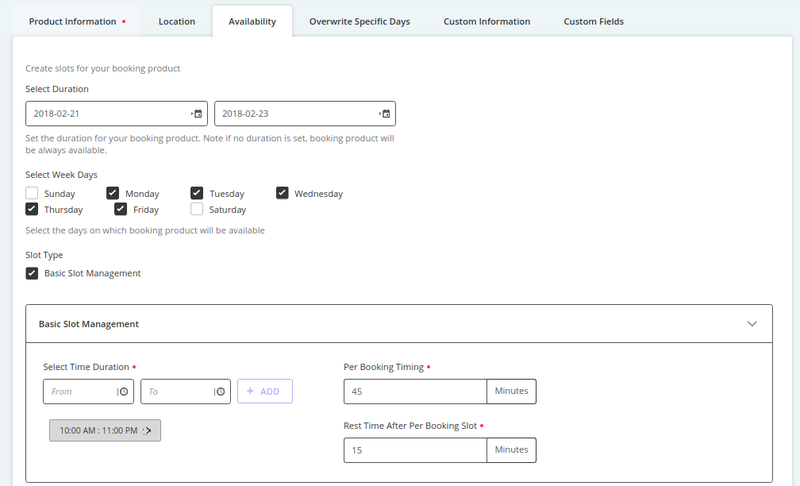 Click Add to create new booking product. 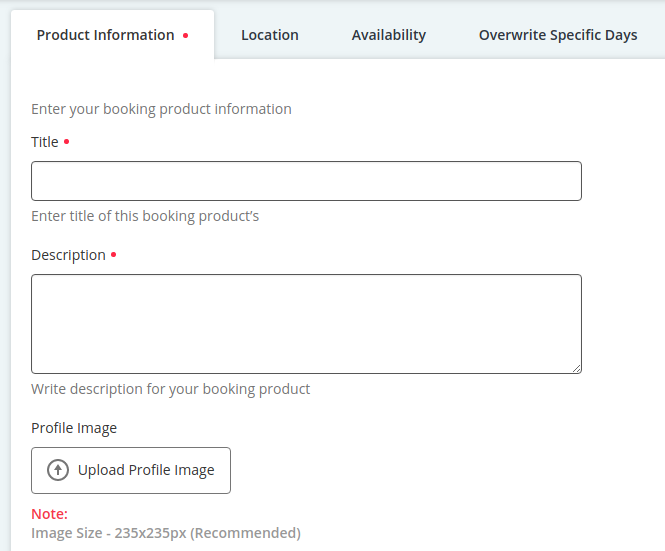 Enter Product Information like details, images, pricing and booking type (single user or multi-user). Next, you need to provide the place of service offered by you with the address of the location. 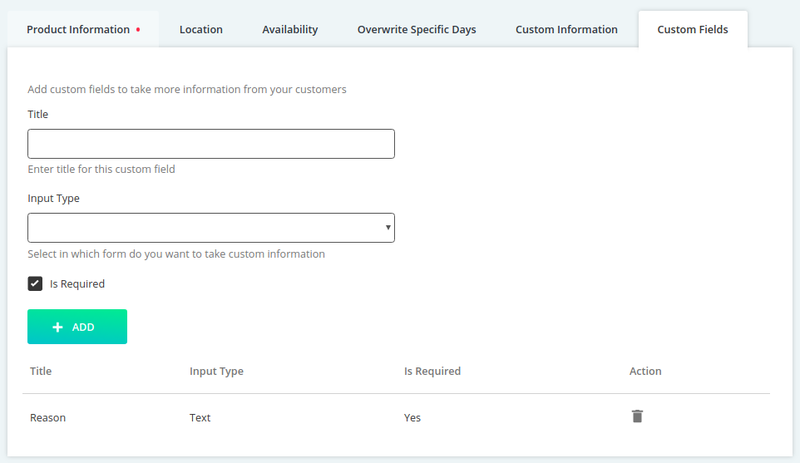 Under Availability, you need to provide the days and timing of your appointment. If your timings will be same throughout the days you can either select for Basic Slot Management or enter timings separately of each weekday. 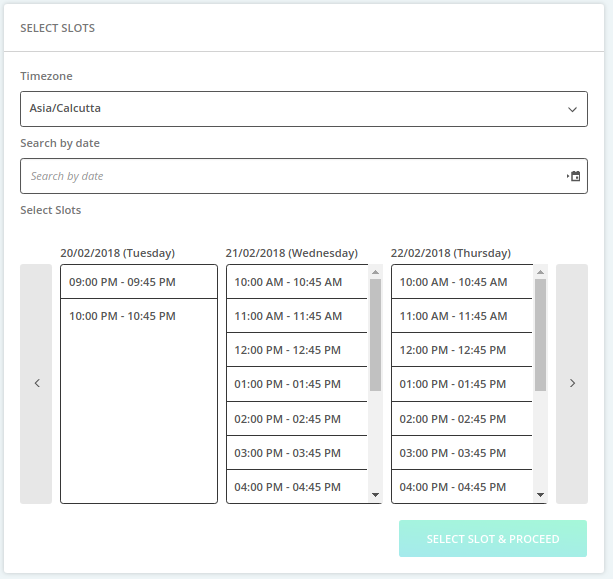 If on any particular date, booking timings have been defined by you and you need to change that for any particular day, you can provide that in Overwrite Specific Days. 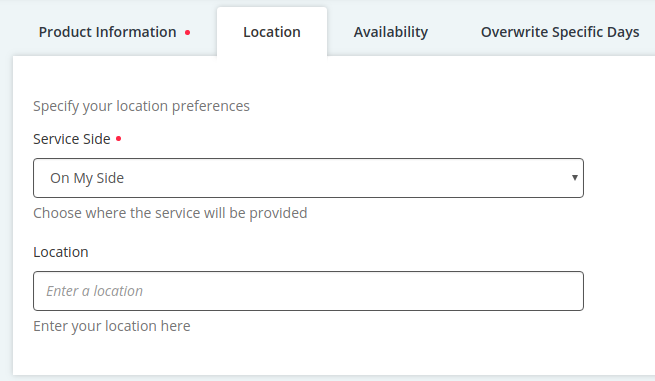 You can click the URL and check the front-end of your booking product.